Lavaque sent me two pairs of their tweezers for review. I got to try the slanted tweezers and the slanted mini tweezers. I love both of these pairs! They are really easy to use and actually pull out the hairs. My current tweezers have gotten really dull so I was very happy to get these new ones that actually work. One really neat thing about the tweezers is that they come in with different birthstones in them! How cool. They also have diamond ones too. Also, they have what is called soft-tension which is something that makes it very simple to squeeze the tweezers so you don't have much strain on your hand. Currently, the company has a great program going on on their Facebook page where you can win a free pair of tweezers every Monday! Check it out here! These are definitely the best tweezers that I have tried. And the best part, they have a lifetime guarantee. What this means is if you break them or dull them, they will replace them for you! You must try these! 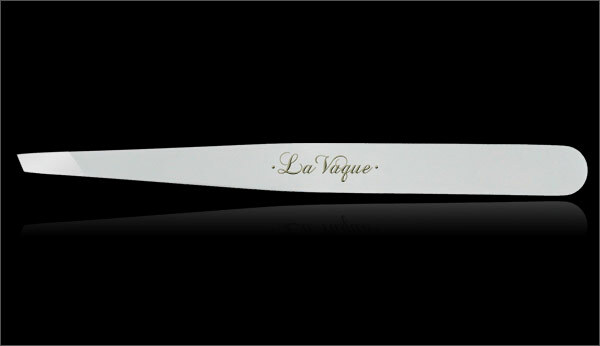 Giveaway will be for one pair of Lavaque Slanted Tweezers which is a $19.95 value! US and Canada only please! The giveaway is open until Midnight on Friday September 3rd. Winner will be chosen on Saturday September 4th using Random.org. 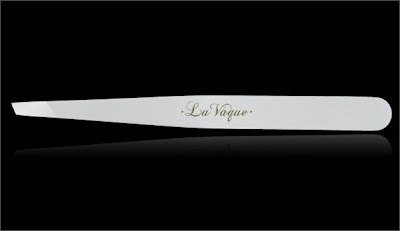 Mandatory: Let me know which tweezers that you want to try the most on the Lavque website. -Like Lavaque on Facebook (2 entries). i like the pink tourmaline tweezers. the breast cancer ones. i found your blog through your comment on my friends blog. I like blog hopping! i entered your pablo coffee giveaway! I love the garnet tweezers, they're super cute! I found your blog bc you started following me, and I followed back! I love the amethyst swarovski tweezers. I found this site through Giveaway Scout, I think. I had no idea tweezers could be so fancy! So nice to meet you! I am following you back. All of the food looks so yummy and congrats on 400 and growing really fast! I love portobella burgers. They are incredible and meaty like texture too. Thanks for the great ideas. It will be fun getting to know you. I most like the LaVaque Slanted Diamond Tweezer- 1/20 Carat. Thanks. Love the LaVaque Slanted Swarovski ® in Pink Tourmaline tweezers. I would pick the standard slanted amethyst tweezers. i found the site through another blog...not sure which one. I like the Alexandrite SWAROVSKI TWEEZERS. I would love to try the SWAROVSKI TWEEZERS is Emerald. I would like to try the LaVaque Slanted Swarovski in Aquamarine. I originally found your site through a comment you left on another blog (I don't remember which blog it was) but I checked out your site and have since added it to my favorites!